NEW YORK, N.Y. (August 11, 2016) – Chart-topping Country star Justin Moore will celebrate the release of his fourth studio albumKINDA DON’T CARE(The Valory Music Co.), with the first national television performance of his Top 10-and-rising single “You Look Like I Need a Drink” tomorrow, August 12. The Platinum-selling artist will take the stage on the Fox & Friends’ All-American Summer Concert Series to sing the infectious hit as well as some of his other #1 smashes – “Point at You,” “Lettin’ the Night Roll” and “If Heaven Wasn’t So Far Away” – beginning at 7am ET on Fox News Channel. “While Kinda Don't Care's lead single ‘You Look Like I Need a Drink’ is more familiar territory for Moore with it's Stones-esque guitar riff, the album has a handful of other tracks that feature him trying out new sounds,” surmisesROLLING STONE COUNTRY. Fans too are eagerly embracing the refreshing twists that never deviate from Moore’s grounded sensibilities. As featured in USA Today, they exclaim "… he has come to represent the best of a new generation in country music." Moore will also perform his first-ever iHeart LIVE show, with a video stream across iHeart digital platforms on August 12 at 8pm in all time zones. A radio on-air simulcast of the first 30 minutes will broadcast nationwide on all iHeart Country stations between 9am-9pm local time on August 14. On-demand video content will be released across iHeart later this month. His set will showcase tracks off the new album such as “Somebody Else Will” and “More Middle Fingers,” which features tour mate and Platinum-selling artist Brantley Gilbert (album version only). Additionally, tune-in tocmtcody.com August 12 at 12am ET to hear Cody Alan catch up with Moore for his Ask Anything segment as they discuss the album launch festivities from New York. On Thursday, August 18, Moore will sit down with SiriusXM The Highway’s Storme Warren in Nashville for a morning show takeover. Moore will also join Bobby Bones and crew later this month to chat about the new music and life on the road. 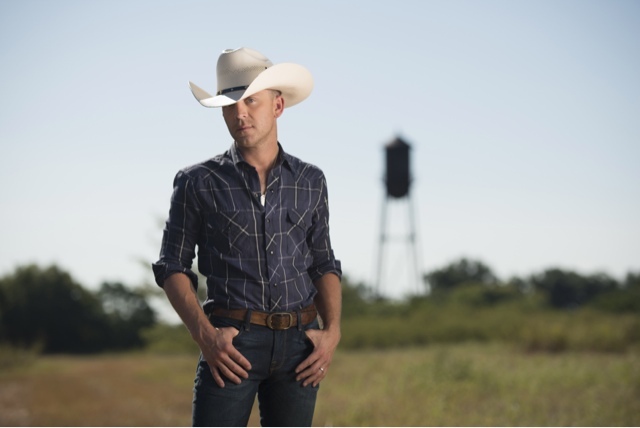 The 2014 ACM New Artist of the Year has been steadily building his repertoire with Gold-certified albums JUSTIN MOORE (2009) andOUTLAWS LIKE ME(2011), which debuted at #1 on the Billboard’s Top Country Albums chart along with OFF THE BEATEN PATH (2013). He has earned five #1 songs and charted seven Top 10 singles while scoring coveted spots on Superstar tours with Miranda Lambert, Brad Paisley and Brantley Gilbert. For tour dates and more, visitjustinmooremusic.com.